In a world where a fist to the face is a perfectly viable solution, Mr. Boss has it all. Now he wants to break the greatest fighters ever! 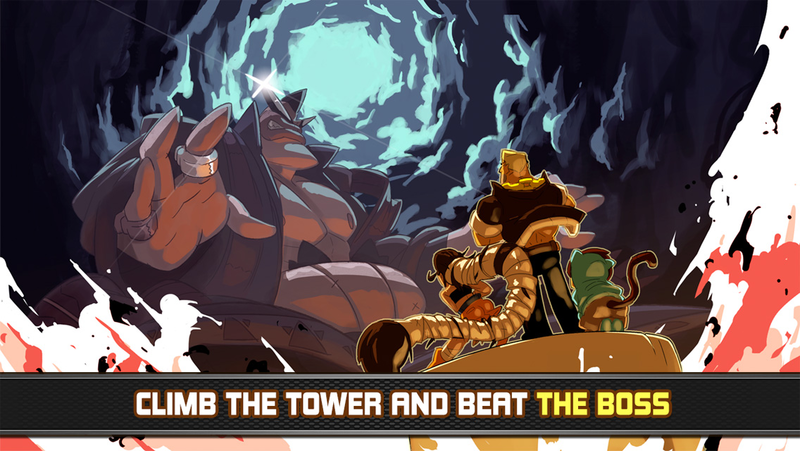 Trapped in his giant tower, you must fight your way to the top to take him down! 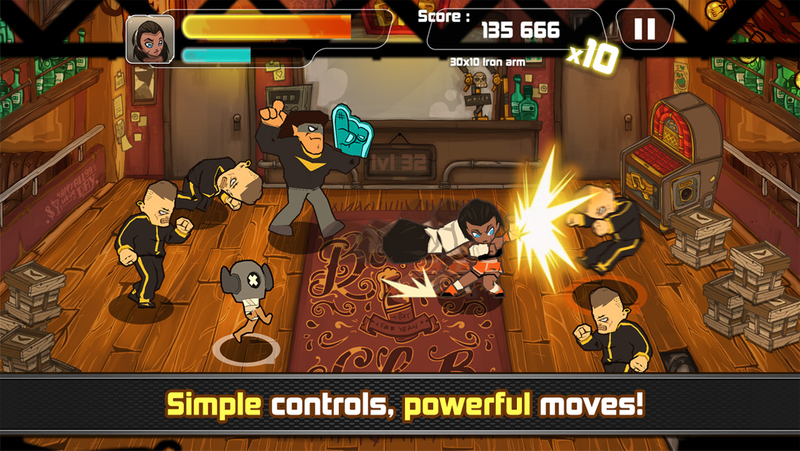 Inspired by classics like Streets of Rage, Final Fight, and Street Fighter, Combo Crew is pure rumble with no virtual buttons to mess up your moves. Touch controls are smooth, responsive, and easy to learn: one-finger swipe to punch / kick, tap to counter, and two-finger swipes for special combos. When your super combo gauge fills up, all hell breaks loose—beat down the bad guys with hectic in-your-face combo streaks! 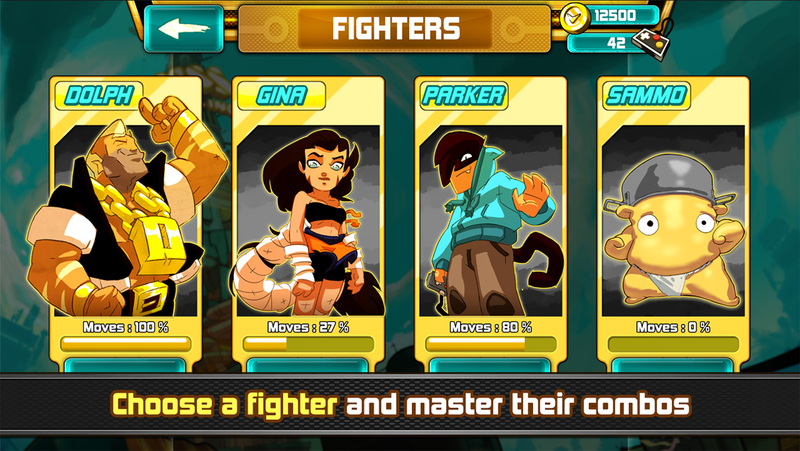 Play this action-packed brawler alone or call in your whole crew! 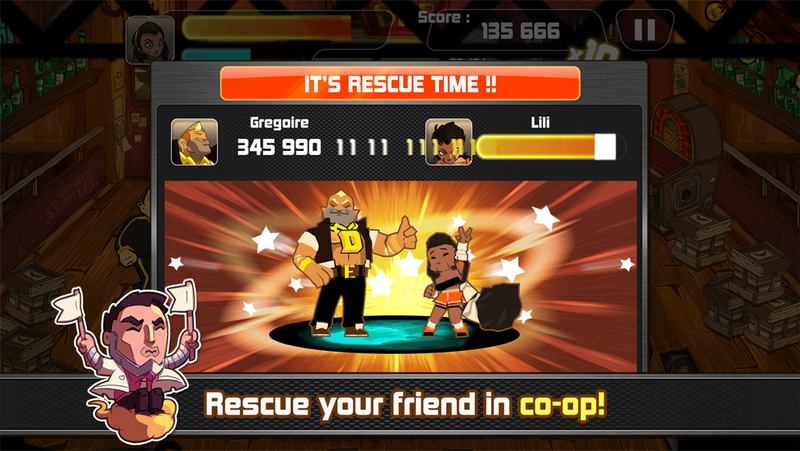 You can rescue online friends from KO (or have them rescue you) and compete for high scores on global leaderboards. Quick melee brawls in arena-style levels make Combo Crew perfect for intense bursts of gaming on the go. But with hundreds of missions, unlockables, and an endless mode, you’ll keep coming back for more. To add to the fun, legendary video game characters have joined the crew and are ready for the fight: Ryu, Chun Li, Ken and Blanka from Street Fighter 2, Joe from Viewtiful Joe and Lester Knight from Another world. A whole range of fighting styles and unique combos! Do you remember these arcade brawlers like Final Fight, Streets of Rage, Double Dragon? Of course you do. They are Combo Crew grandmas and grandpas. With Combo Crew, we wanted to pay homage to these old school beat'em all, but we didn't want to straight port the gameplay to mobile. 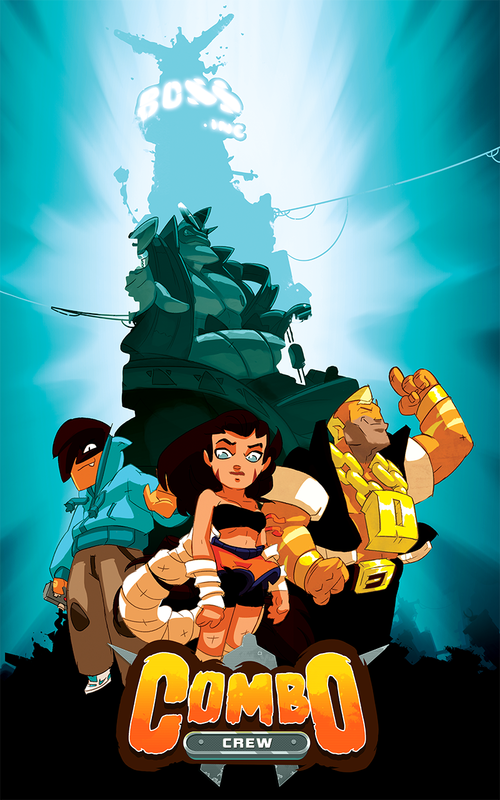 Combo Crew was born when we noticed that NO game on the App Store delivered a beat'em all experience with touch controls. All games had messy virtual pads. The closer thing to a beat'em all with good touch controls we found was... Fruit Ninja! Hidden in the design there is also a tribute to God Hand, a little known gem from Shinji Mikami, in which instead of having to memorize tons of combos you can unlock moves and set them on a predefined control scheme. Genius :). Fight with your fingers: slash enemies to trigger crazy combos, tap to guard. A modern beat ’em up with no virtual D-pad! The first mobile brawler with asynchronous multiplayer across devices. Rescue your friends, or be rescued by them! 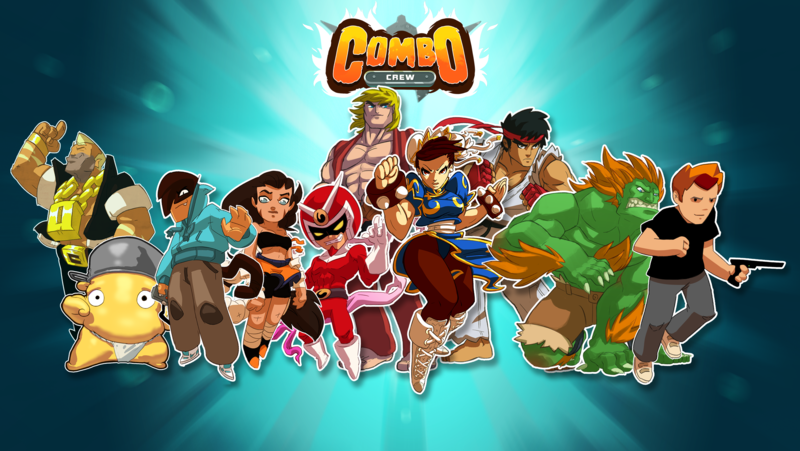 Ryu, Chun Li, Ken and Blanka from Street Fighter™ 2, Joe from Viewtiful Joe™ and Lester from Another world have joined the crew [The Capcom characters require in-app purchase]. Languages: English, French, Italian, German, Spanish, Brazilian Portuguese, Chinese, Japanese, Korean, Russian. Best experience on iPad 2 and above or iPhone 4S and above. 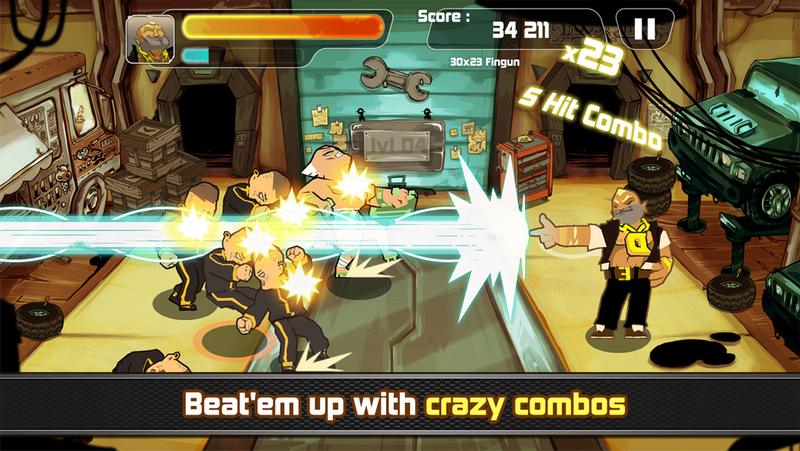 "Combo Crew could very well be the definite beat-em up of the mobile age of gaming." "The Game Bakers has proven once again that when it comes to working with touchscreen hardware it's a couple of moves ahead of the pack." "It feels wonderful. Mashing is nonexistent and input responsiveness is tight. Furiously scribbling your finger over enemies to string them into supers is a cathartic release." Available from Romain Gauthier's Bandcamp ninomojo.bandcamp.com.